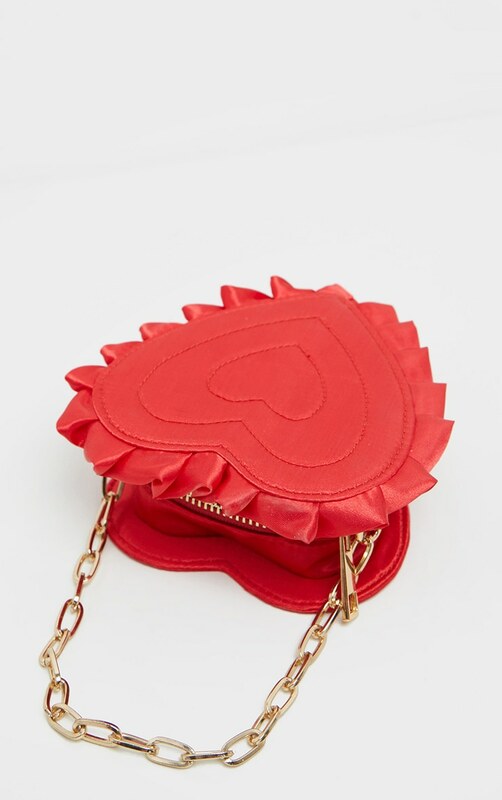 Your outfit isn't complete without this mini bag. 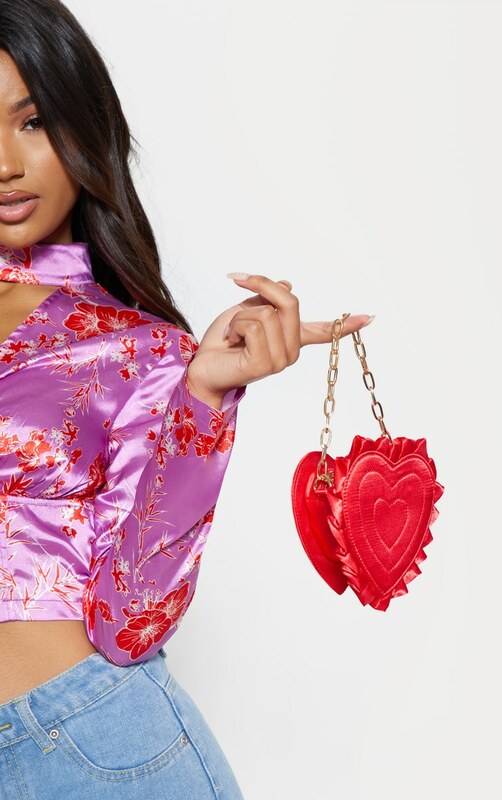 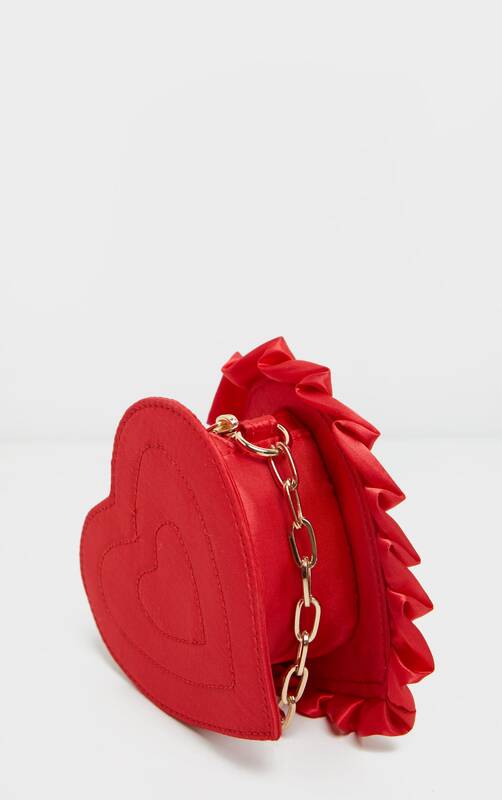 Featuring a red satin fabric, gold chain and a heart shape. 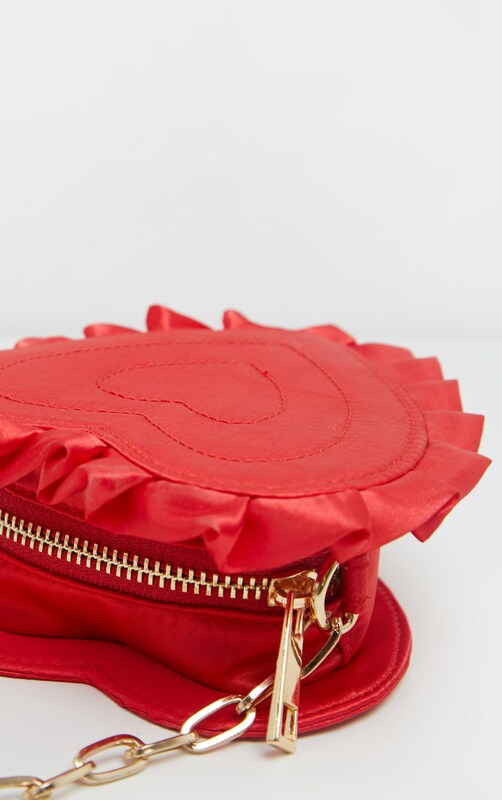 It's the perfect finishing touch.